T-ball season is exciting for both kids and parents, but it’s all fun and games until someone loses an eye. At least that’s what my mom always said. 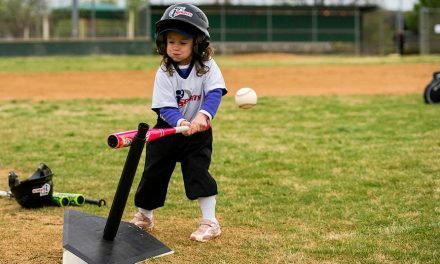 Even though the ball is on a T and not pitched, we want to be sure that our kids developing brains are safe, so you’ve got to have a t-ball helmet to go along with that t-ball set and glove. 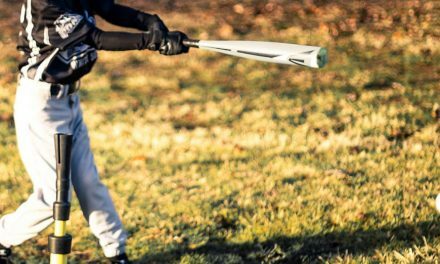 A batting helmet will keep your child’s head safe from knock in the head, either by a thrown ball or a blow to the head with a bat from a rambunctious teammate. And the fact is they look cool too. We took a close look at the most popular t-ball helmets available on Amazon, and selected 5 really good choices. 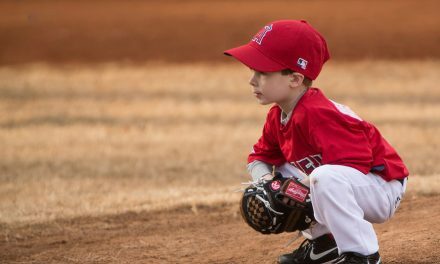 In this article, we’ll focus on everything you need to know when choosing a t ball helmet for children ages 4 to 6 years old. There are many tee ball helmets available on the market today. The trick to choosing the right tee ball helmet is to consider which helmet will be the most comfortable for your child. It’s very common for children ages 4 to 6 years old to become anxious when wearing a helmet for the first time. Keep in mind that your child will need to run, bat and throw when wearing one, so choosing a helmet that is safety certified, provides a comfortable and proper fit, and is light weight is essential. Here are our top picks and why. Most helmets do not include a chinstrap. We like the Mizuno Padded Chin Strap. It’s sturdy, comfortable, and a great deal – only $7.99 on Amazon Prime. 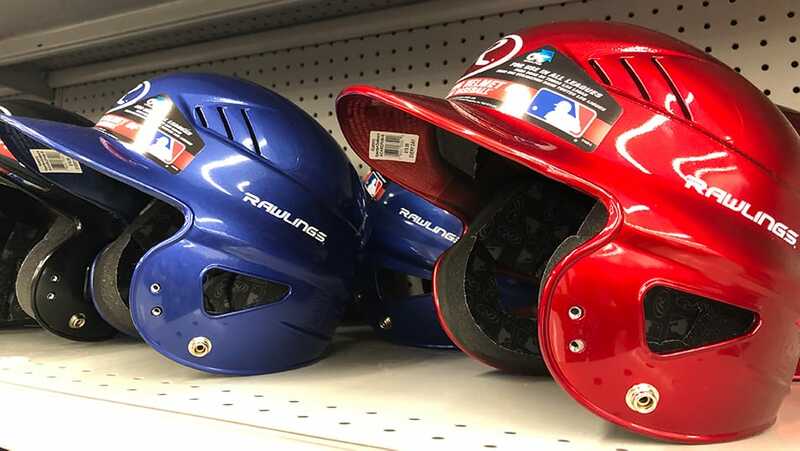 The Rawlings Coolflo T-Ball Helmet keeps your child protected with dual density foam and is one of the most straightforward and economical choices available today. It is lightweight for easy wearability and offers a traditional Coolflo design with 15 air vents that keeps your all star cool during game play. Plus, the pre-drilled holes for Rawlings approved yet optional face guards can give you peace of mind with added protection. This tee ball helmet for 4 to 6 year olds meets recommended safety guidelines by National Operating Committee on Standards for Athletic Equipment (NOCSAE) and comes in sizes between 6.25” – 7.8”. Pro: The ponytail channel makes for a more comfortable fit for children with longer hair. Con: This helmet contains snaps for use with a chin strap , but chin strap must be purchased separately. Double check your measurements to ensure a good fit or consider buying a chin strap for added stability. 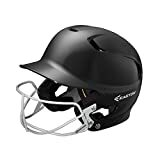 The Easton Junior Batters Helmet Mask is the ultimate choice if you are looking for a comprehensive helmet solution with built-in face protection. It meets NOCSAE standards and provides an excellent protective shell against high impacts while the Dual Density Foam absorbs sweat and pulls it away from your all star’s head to keep them cool and fresh during game play. 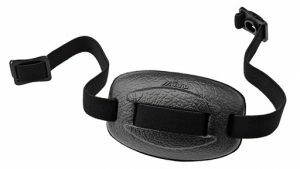 The wrapped ear design secures the helmet firmly in place on the field whether your child is running or up to bat. Available in sizes between 6.37” to 7.12” makes this headgear a comfortable tee ball helmet for children ages 4 to 6 years old. Pro: Designed to fit snug for added stability and protection during constant game play. Available in five colors: black, navy, pink, red, and royal blue. Con: The face mask is anchored by 4 screws so you’ll have to remove the entire helmet if your all star wants a good luck kiss. If you want options and are looking for a tee ball helmet that can grow with your all star, the Authentic Batting Youth Baseball/Softball Helmet is a good start. The high impact ABS plastic corrugated shell offers maximum protection and the large vent keeps your child cool. The face mask and chin strap are sold separately, but come with the hardware necessary to install and remove. This T ball helmet is sized 6.75″ and is approved for wear by leading leagues including Little League, ASA, Pony, and USSSA. Pro: The face mask and chin strap are removable so this helmet can grow with your child. Con: You have to buy the chin strap and face mask separately. Youth All Star System Seven Baseball/Softball Helmet. High Impact ABS Plastic Corrugated Shell for Maximum Protection. Large Vent to keep cool. The Rawlings MLB® Inspired NOCSAE T-Ball Clear Coat Batting Helmet is sure to please any aspiring baseball all star. This T Ball helmet for 4 to 6 year olds features a great shine and a venting system that keeps your child cool and fresh during game play. It’s construction mets NOCSAE standards and is durable yet light. It is available in 3 colors: black, navy and scarlet and fits sizes 6.25” – 6.87”. Pro: Your all star will love the style and clear coat on this tee ball helmet. Con: Sizing for this helmet varies from child to child. We recommend this for children 5 years old and younger. 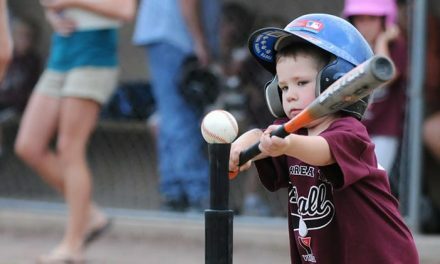 A safety certified helmet provides all the comfort and protect your all star will need when playing T-Ball. When it comes to making a final decision be sure to measure your child’s head for the most comfortable fit and determine if your child (or you) would be more comfortable with a face mask for added protection or chin strap for more stability. Oh and don’t forget to bring your comfortable bleacher seats while cheering on your Junior All Star!